Fairfield students will perform in the production of "Annie." 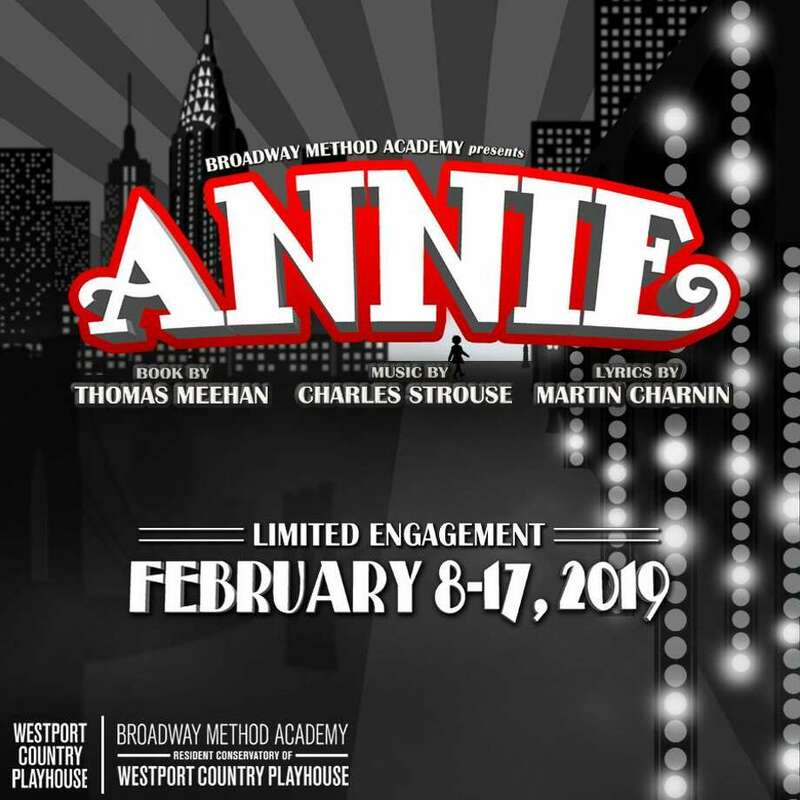 FAIRFIELD — Twenty Fairfield students are among 45 Broadway Method Academy members who will take the stage with Broadway talent in the upcoming production of the beloved classic, “Annie.” Performances are scheduled at Westport Country Playhouse, Fri. through Sun., Feb. 8-10, and Feb. 15-17. Fairfield County students include: Maddy Alecia, Annika Carlson, Brynn Ellingson, Ryanne Forrest, Kyle Geriak, Annika Jonker, Emily Joyce, Olivia Kwok, Mariam Mamadashvili, Kai Marrelli, Colleen McCurley, Emerson Raymond, Serena Remmes, Elizabeth (Lizzie) Richards, Kaitlyn Richards, Betsy Ronning, Bailey Schumacher, Plum Sonnenfeld, Robin Title, and Julia Vitale. Students also hail from Brookfield, Easton, Milford, Newtown, Norwalk, Southport, Stratford, Trumbull, and Westport. Connor Deane directs the production with choreography by Audra Bryant, and music direction by J. Scott Handley and Jad Bernardo. Friday, February 8: 7 p.m.
Saturday, February 9: 1:30, 7 p.m.
Sunday, February 10: 1:30, 7 p.m.
Friday, February 15: 7 p.m.
Saturday, February 16: 1:30, 7:30 p.m.
Tickets start at $45 and are on sale now. For tickets, visit www.westportplayhouse.org, or call or visit the Westport Country Playhouse box office at 203-227-4177, located at 25 Powers Court, Westport.